End of 2017, we have delivered SAP Data Hub, developer edition. And early 2018, SAP Data Hub trial edition followed. This week we launched the new trial edition based on SAP Data Hub 2.4. SAP Data Hub includes data sharing, pipelining and orchestration capabilities that help companies accelerate and expand data flow across a diverse data landscape. It includes features for Data Pipelines, Data Workflows as well as Data Governance. SAP Data Hub, trial edition is a complete deployment of SAP Data Hub for trial and evaluation purposes. It is available on Google Cloud Platform as well as Amazon Web Services. It is brought to you through SAP Cloud Appliance Library. With the trial edition, you can look at all features of SAP Data Hub for 30 days. We do not charge you for the usage of SAP Data Hub, trial edition. 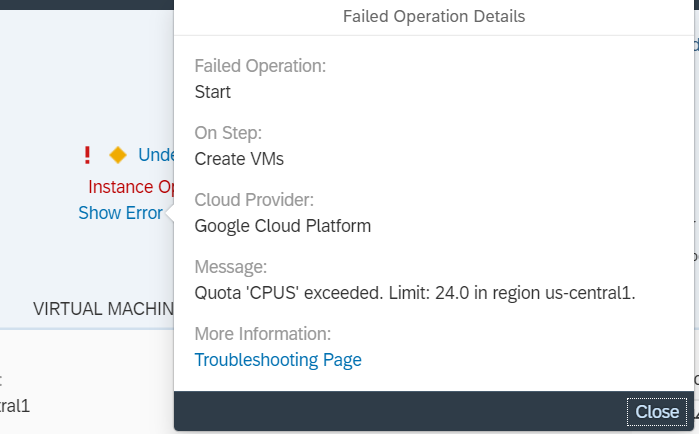 You only need to cover the expenses Google respectively Amazon bills for using their infrastructure. 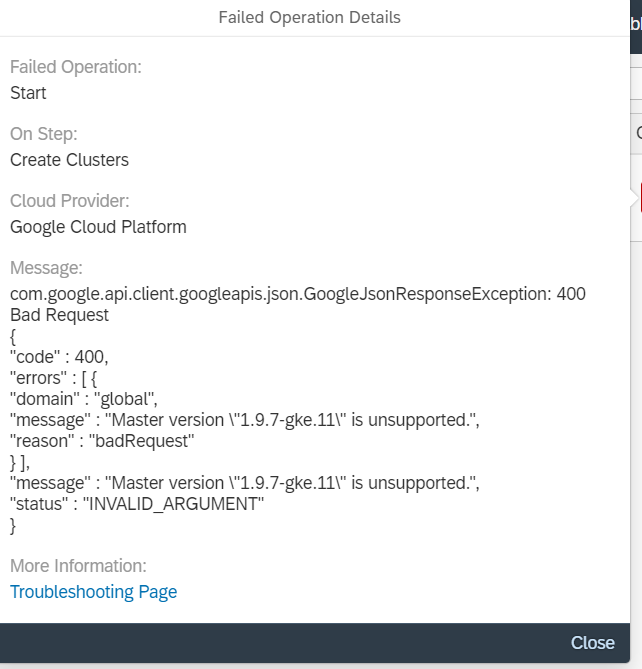 To take a stab at SAP Data Hub, trial edition, you need a Google Cloud Platform respecively Amazon Web Services account. Afterwards you can deploy the trial edition through SAP Cloud Appliance Library. We would be happy to see you blogging about the scenarios that you build on top of the trial edition. If you have questions, problems or proposals, feel free to post them as comments to this blog, or to the SAP Community. We will try to answer them in a timely manner and collect frequently asked questions here. Updated blog post for SAP Data Hub, trial edition 2.3. Thorsten, Thank you for the updated blog. Is there any particular region this should be hosted at? I keep getting this error. Quota CPUS exceeded. Limit: 24.0 in region US-Central1. I tried couple of regions with no luck. Any help is appreciated. can you please check if this URL https://answers.sap.com/questions/684062/unable-to-activate-the-data-hub-23-instance.html answers your question. You need sufficient quota to run the trial. We will also update the Getting Started Guide with the quota mentioned in the referenced page to ensure that users are aware. If that does not solve the problem, please let me know. Thorsten, I realized the region I was trying to create a trial instance in did not have sufficient CPU. I did not know the needed limit was 30. Thank you for pointing me to the link. I have requested additional quota. I think I should be good. Perfect. If there is anything else you need help with, just let me know. Ok My quota was increased. Now I get this Bad Request error. I am going to terminate and Try again. could you do me a favour and try again? I think the problem was caused by the following GKE release and the fact that the trial currently “hardcodes” the Kubernetes version. My suspision is that we changed our code to 1.9.7-gke.11, but this Kubernetes version was not (yet) available in the region you are using. If retrying does not help, can you please send me the region and zone you wish to deploy to. Updated blog post for SAP Data Hub, trial edition 2.4. Thanks a lot Thorsten that’s really appreciated. Look no further, I just waited more than 90min for the system to activate (looked like it was stuck on activating but I guess it was still doing something). Now it works! If someone else has the same issue, you can tell them to just be patient ;). thanks for letting me know. 90 minutes is long (but it depends a bit how quickly e.g. the Docker images are mirrored). Have fun with the trial. I have checked with colleagues. On AWS the start-up time for the trial is around 75+ minutes. So the 90 minutes (while I hope that we can finetune that a bit in the future) is expected. If you wait until all the “traffic lights” in CAL go green after creation of the instance, you should (always) be good to logon.